There's absolutely nothing I love more than sending cards for the holidays. Well, that's not true. 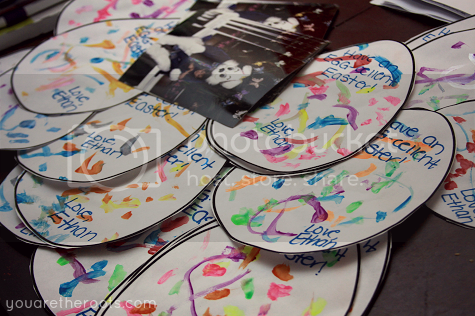 The only thing I love more than just sending cards would be somehow personalizing them, or having Ethan create them. 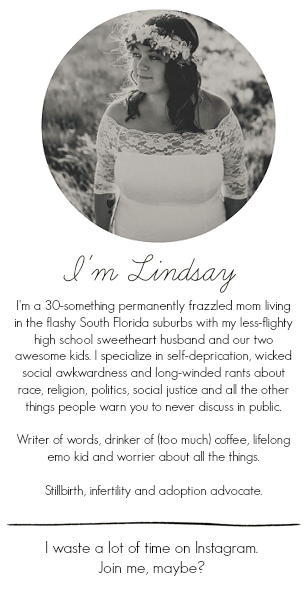 I'm not crafty and that's both an understatement and something that drives me bonkers (because I really, really want to be crafty!) so ease (of the mindless variety) is a must. 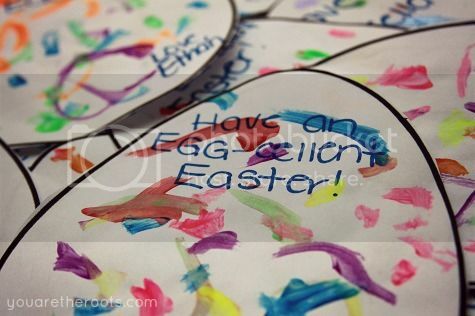 When I saw this printable Easter egg pattern from Nuttin' But Preschool, I knew it would be perfect. We worked on these for the last couple of weeks. 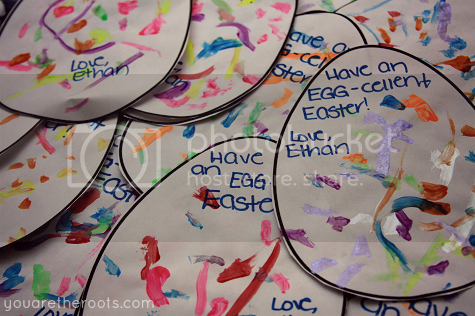 Ethan had a blast decorating the eggs using EZPaint. I love that each egg is a little bit different, and his painting style varies based on his mood. When he's fresh in the morning or after a nap, the eggs are more detailed and colorful. Sometimes they're a little simpler, or he sticks to the same basic colors. Each one is an original! 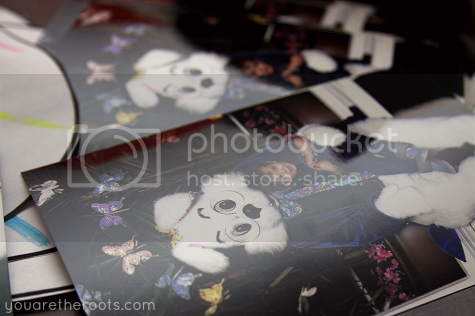 Before sticking them into the envelopes to be mailed off to relatives and friends, I was sure to include this year's Easter Bunny photo! What a great idea! Something special to save.